Coronary stents are medical devices primarily used in the treatment of coronary heart diseases by maintaining vessel patency. Their advent and continual device advancements have paved a new paradigm in cardiovascular care world over, especially in developing and developed nations. Their usage have particularly transformed the area of percutaneous coronary intervention in developing and developed nations. The market for coronary stents has progressed considerably over the recent decade from bare-metal stents to innovative stents such as bio-resorbable and drug-eluting types. Some of the key features influencing the efficacy of coronary stents are good biocompatibility, low thrombogenesis, good flexibility, and deliverability. Apart from this, some of the advanced coronary stents are made of alloys, notably of cobalt-chrome, to impart marked radial strength and radio-opacity. Various materials used for making coronary stents impart specific properties and help in fulfilling the required objective. For instance, a major number of self-expandable stents are made using nickel titanium, which imparts them the flexibility to retain shape when placed inside the vessel. Over the years, the device has witnessed several enhancements, particularly design innovations. These are made possible by a growing number of clinical research organizations (CROs) intensively evaluating the efficacy and the comfort of the product. This has also accelerated product approvals in various developing and developed regions. The incorporation of polymer-free or bio-resorbable stents has helped in reducing the inflammatory effect of polymers used in previous generation of coronary stents. Polymer-free stents are considered as an advanced version of drug-eluting types since they potentially reduce the rate of stent thrombosis. The market is also witnessing substantial demand for partially-bioresorbable stents. However, the polymer left off in the vessel can be still be a cause for clinical concern. Advances in bioresorbable materials for making coronary stents are unlocking promising prospects in the global market. The alarming rise in the number of cardiovascular diseases has become the primary growth driver for the global coronary stent market. Changing lifestyles that are characterized by high stress levels, alcohol consumption, smoking, and poor choice of food habits have collectively led to questionable heart health for the global market. The World Health Organization states that the cardiovascular diseases have become the leading cause of deaths across the globe. As this problem aggravates, the global coronary stent market is projected to see a terrific growth rate between the forecast period of 2017 and 2025. The growing demand for better cardiovascular healthcare has been recognized as a key factor encouraging the growth of the global coronary stent market. The market is poised to witness a soaring success in the coming few years as high levels of scientific innovations brought into a range of coronary stents. At the same time, the market has also become more competitive due to an influx of products and establishment of several new players. Thus, the affordable pricing of coronary stents is also offering businesses in the global coronary stent market a new lease of life. Besides competitive pricing, players are also offering products that promise utmost safety, efficacy, quality, and an effective outcome. As companies comply with set standards of quality, they are well-positioned to remain in power over the forecast period. The various products available in the global coronary stent market are drug-eluting stents, bio-absorbable stents, and bare-metal stents. Out of these, analysts predict that bio-absorbable stents are likely to gain significant momentum as they are known to improve abnormal endothelial function, restore normal vasomotion, and reduce the risk of inflammation and thrombosis. The supportive stance of the U.S. Food and Drug Administration (FDA) has accelerated the production of innovative coronary stents in the past few years. For instance, CeloNova Biosciences, Inc. recently received an approval from the U.S. FDA for its COBRA PzF™ NanoCoated Coronary Stent System, the first of its kind. The stent has a biocompatible proprietary nanothin polymer coating, which needs a month of dual antiplatelet therapy regimen post surgery. The new stent has been designed to better the coronary luminal diameter. It is expected to benefit patients suffering from symptomatic ischemic heart disease, which will also include diabetic patients with heart diseases. Thus, the efforts to launch effective products that better the quality of life along with support from regulatory authorities are expected to favor market growth in the near future. In terms of geography, the global coronary stent market is segmented into North America, Asia Pacific, Europe, the Middle East and Africa, and Latin America. Of these, North America coronary stent market is expected to hold a dominant share in the overall market as the region has a well-established healthcare infrastructure. 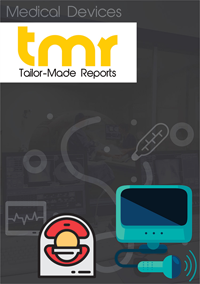 Increasing investments in research and development of medical devices and higher acceptance of latest technologies have collectively aided this regional market’s lead in the global market. Analysts expect Asia Pacific to be instrumental to the rise of the global coronary stent market in the coming years. With a huge population base, Asia Pacific is likely to offer lucrative opportunities for the uptake of coronary stents in the near future. Furthermore, the budding medical tourism industry in the emerging economies of Asia Pacific are also expected to drive the coronary stent market in the region over the forecast period. Some of the leading players operating in the global coronary stent market are TERUMO CORPORATION, Medtronic plc, Meril Life Sciences Pvt. Ltd., Boston Scientific Corporation, Abbott Laboratories, Biosensors International Group, Ltd., BIOTRONIK SE & Co. KG, STENTYS SA, B. Braun Melsungen AG, MicroPort Scientific Corporation, Translumina GmbH, and Vascular Concepts.